Water recycling and synthetic medication for flu strains are among of hundreds of Israel innovations, say Nobel Prize winning scientists. The WSCI – World Science Conference Israel – opened Sunday at the Hebrew University campus in Jerusalem. The conference's participants included Nobel Prize winners from the world over. Among these was French physicist and Nobel Laureate Prof. Claude Cohen-Tannoudji, who told Arutz Sheva that Israel can serve as a model for the world, because in invests in science despite its security and political problems. Science, he said, gives a scoiety strength to resist dangers, and also to prepare for the future. 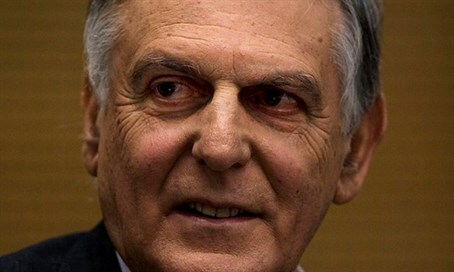 Nobel Laureate Prof. Dan Shechtman of the Technion enumerated a list of Israeli innovations, starting with various aspects of water recycling, and going on to synthetic medications for flu, which can fight all kinds of flu instead of just waiting for new strains to develop and predicting them. Nobel Prize laureate Prof. Sidney Altman of Yale, whose expertise is molecular biology, lauded Israel's high rate of academic publications per capita, and Prof Menahem Ben Sasson of Hebrew University noted that Hebrew University was recently ranked number 67 in the annual list of top 500 institutions published by China’s Shanghai Jiao Tong University, but it can do much better.